(Almost) All the fun of Camp Sabra in one weekend! Introduce your family to camp through sailing, skiing, tubing, zip-lining, climbing, campfires and more – Sabra-style! Our all-inclusive weekends include lodging, food and all the Camp Sabra activities you can handle. Registration for Dad & I Weekend is now at capacity. To be added to our wait list, please contact Ben Panet, 314-442-3270. A camp weekend retreat designed just for kids (pre-K through 6th grade) and their dad or special adult. You and your child(ren) can kayak, tube, sail, swim, do archery, play tennis, fish, play on our ropes course, make arts & crafts projects and much, much more. Have a blast with plenty of memorable family time and relaxation. You will meet many 2018 Sabra staff and campers and be able to explore Sabra’s fabulous facilities and wooded acres. A weekend designed for the whole family! 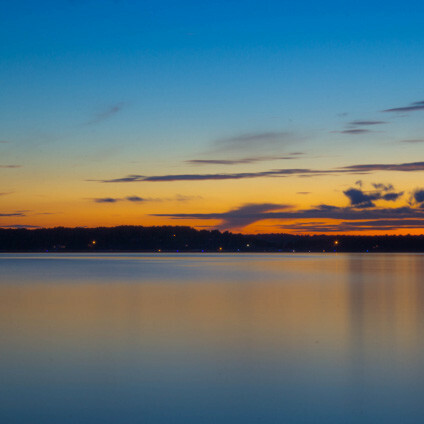 Wrap up the summer with one last weekend at the Lake of the Ozarks. Skiing, campfires, sailing and more are a great way to extend the summer and connect with your family. 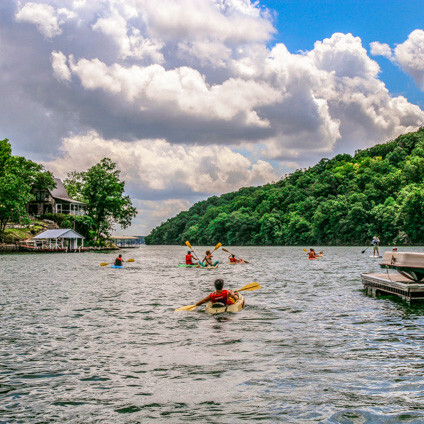 Your family can kayak, water ski, sail, swim, do archery, play tennis, fish, experience our extensive ropes course, make arts & crafts projects and so much more. Have a blast with plenty of family time and relaxation. For more information or questions, contact Ben Panet. If you are interested in more information about our retreats, please contact Assistant Camp Director Ben Panet.